The first movie from Otara-based Pele Nili — aka musician Siavani — is the music heavy story of a man trying to do right by his family and his community. After tragedy hits his family, Solomon (played by Nili) returns to the neighbourhood he grew up in, and makes it his mission to ensure his brothers and other local youth don’t make his mistakes. 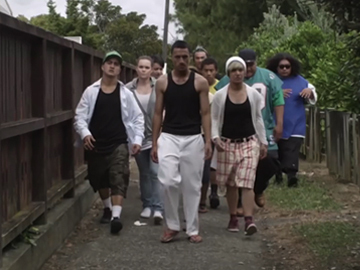 Originally filmed in Manukau in 2010, the "likeable, and often completely loveable" (Stuff's Graeme Tuckett) movie was self-funded — and inspired by workshops Nili ran in South Auckland, that provided training in the arts.